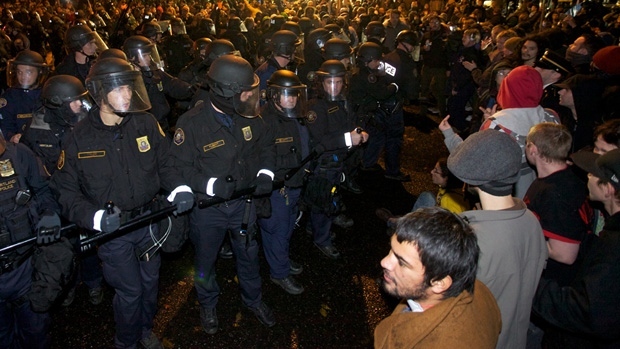 A coordinated police crackdown suppressed the Occupy movement. Revolutionaries need accountable and democratic organizations to match and defeat the centralism of the state. Without mass struggle, there is no hope for real change. But activism and struggle alone are not enough to achieve socialism. What is also essential is a revolutionary communist party. This has been proven by history on many occasions, sometimes by positive example, other times by negative and frequently tragic example. A revolution cannot take place without society entering into a revolutionary crisis — a period of militant upsurge that shakes the foundations of bourgeois rule and makes a large section of the masses refuse to go on living in the old way. A revolution is a life-and-death battle. The opportunity to carry out a successful revolution usually lasts for only a short time. How and when a revolutionary crisis comes about is largely unpredictable and outside the control of either revolutionaries or the ruling class. Most often in the last century it has been a byproduct of war or economic crisis, or both. Revolutionaries do not have control over when or how a new crisis will develop. What we do have control over is what type of organization will be available when a revolutionary crisis does arise, as it inevitably will here in the United States and other countries. How multinational, widespread, numerous and united will the revolutionary party be? How experienced will it be in many and widely varying struggles? How has it measured up to challenges, especially in earlier times of crisis? 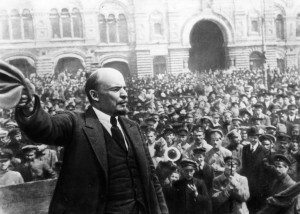 Lenin speaks to a crowd of soldiers, 1917. When workers and oppressed people first began to build organizations to make revolution, the model of the revolutionary party had not yet been developed. Mass socialist parties were formed in many countries that were open to anyone who generally agreed with the organization’s politics. Their leaders were not bound by strict discipline to preserve the party and defend its program. Over time, these parties degenerated both politically and organizationally. They could not stand up under the pressure of government repression, and were unable to maintain their revolutionary politics under the pressure of bourgeois ideology and the temptations of opportunism. Many of these organizations even supported their own imperialist countries in World War One, when millions of workers were sent to slaughter each other so that a tiny clique of monopolists and bankers could redivide the world. Vladimir Lenin, the central leader of the 1917 Russian Revolution — in which working and oppressed people took and held power for the first time — developed an alternative model. The Bolshevik party, which led the revolution and the construction of the Soviet Union, was a professional organization. The backbone of this type of organization is the cadre, an individual who makes the revolution and the revolutionary party a main priority in their life. While of course cadre have jobs, families, etc., they are constantly seeking to improve their skills, make greater contributions, and work in a sincere and consistent way. Only with such cadres can a party develop the skills, the unity and the experience to in turn win the trust and leadership of mass movements and a broad section of the people. This does not mean that the revolutionary party adopts an arrogant attitude towards the people. While it provides leadership, the revolutionary party also learns from the people and adjusts its political, strategic and tactical approach accordingly. It does not substitute itself for the activity of poor and working people, who are ultimately the ones who make the revolution. 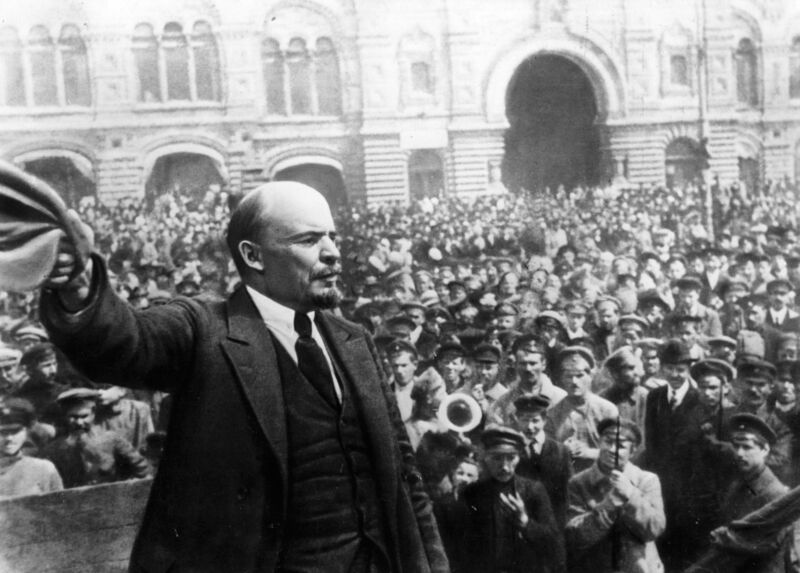 The victory of the 1917 Russian Revolution — confronted by what seemed impossible obstacles — would have been impossible without the Bolshevik Party. Dealing with inter-imperialist war, the explosion of various social contradictions, government repression, and a dizzying realignment of all political trends, the Bolshevik Party was able to give political clarity to millions of people and decisively take action. It was able to do so because of the leadership of Lenin and because its membership had been steeled as a fighting unit through years of organizing in varying political periods. This was not a unique phenomenon. While the conditions and obstacles to navigate differed dramatically, the Chinese Revolution of 1949 and the Vietnamese Revolution against Japanese, French and U.S. imperialism could not have succeeded without the leadership of revolutionary parties. All throughout the world, oppressed people learned from these experiences and built serious organizations of professional revolutionaries as the only way to defeat the professional counter-revolutionaries of the capitalist state. After decades of police state repression, the Egyptian people rose up in 2011 in a revolution that engulfed the entire country. Millions of people demonstrated great courage, taking the streets over and over. Unionized workers played a key role, as did militant working-class and middle-class youth. Delivering social and economic justice requires a different economic model designed to empower the people and meet their needs: socialism. All the elements were there for the revolutionary socialist transformation of Egypt, except one: a revolutionary socialist party. In the absence of such an organization, the Muslim Brotherhood, a religious capitalist party, first took over the government until it was replaced by the capitalist military high command. The Muslim Brotherhood did not come to power because it led the people in the streets — not at all. Rather, the Brotherhood took advantage of the overthrow of the old regime because of all the opposition forces it was the best organized and had the highest degree of operational unity, along with extensive social programs that had popular influence. The militant youth and working-class forces had no comparable organization. Likewise, when a mass upsurge pushed the new Brotherhood government into crisis a year later, the people in the streets had no new organized power to replace them. The force best positioned to step in and become the “new power” was actually the old power: the military. While the revolutionary crisis in Egypt was quite protracted, like all such crises it could not last indefinitely. The future will undoubtedly see a resumption of the struggle enriched by the experience of 2011-13, but for the time being the movement has ebbed as the new military regime arrests thousands of activists and cracks down on democratic rights. The Occupy movement, in which the Party for Socialism and Liberation was very active, spread like wildfire across the country and was really part of the same worldwide trend. There are similar lessons to be learned from it. Hundreds of thousands of people were drawn into activism, many for the first time. Under the slogan, “We are the 99%,” anger was focused on the criminal role of the big banks, the core of capitalist ruling class power. 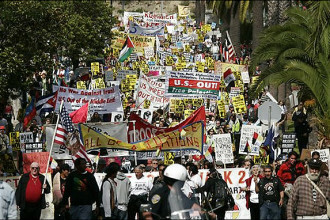 The sudden emergence of Occupy was a tremendous development with lasting positive impact. The lack of any centralized national or leadership structures made it much easier for the federal government and local police to attack Occupy. In what was a nationally coordinated plan, Occupy encampments were dismantled one-by-one by local governments after extensive preparations kept secret until the moment of attack. Understanding that the movement’s main point of unity and attraction were the physical encampments, the government made their break-up its top priority. The movement had no corresponding plan to retreat, regroup and refocus in an organized way. Instead of a nationwide struggle against what was clearly an orchestrated attack, each local Occupy group was basically left on its own. Success in confronting the bureaucratically and militarily centralized capitalist state is inconceivable without a centralized working-class party and movement. Understanding this is essential to building an organization able to defend itself against the inevitable attacks by the government. What does a revolutionary party do in a non-revolutionary period? Preparation for a revolutionary party means many things. It means studying and absorbing the lessons of past movements and revolutions. It means being involved in the most critical struggles of the day, at the points of greatest conflict between the classes. It means fighting to win the movements that respond spontaneously to smaller crises in capitalist society to a revolutionary outlook. Preparation in a non-revolutionary period means organizing the party itself for the many challenges that it faces. It means using the opportunity to recruit and train additional cadre from among the many new and not so new activists, particularly among the most exploited and oppressed workers. The operating principles of the party are based on democratic centralism: internal democratic debate combined with unity in action. Deep involvement in the struggle against racism and national oppression is the duty of a revolutionary party, and critical for the building of working-class unity. 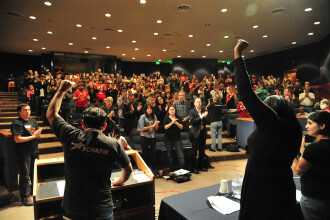 The forging of multinational unity among the U.S. working class is won in the struggle. A revolutionary party must likewise engage in the fight against sexism and all forms of oppression, whether based on gender expression, ability/disability, religion or immigration status, and make clear that it stands for legal and social equality. In the day-in, day-out struggles, the party must become a center of action. It must seek the theoretical and organizational collaboration of other groups that are engaged in struggle. The Party for Socialism and Liberation is dedicated to building a new revolutionary workers’ party in the heartland of world imperialism. We need the participation of organizers and activists from all over the country. 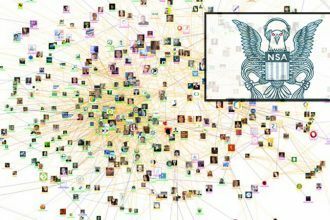 Whether you have ever been involved before or not, we invite all those to join us who share our viewpoint and want to fight. Together, we can win!